I started shopping for a stroller pretty much the day I found out I was pregnant with #2. I’m pretty sure I’m not alone on this. I looked at every single stroller out there, or so it feels like. 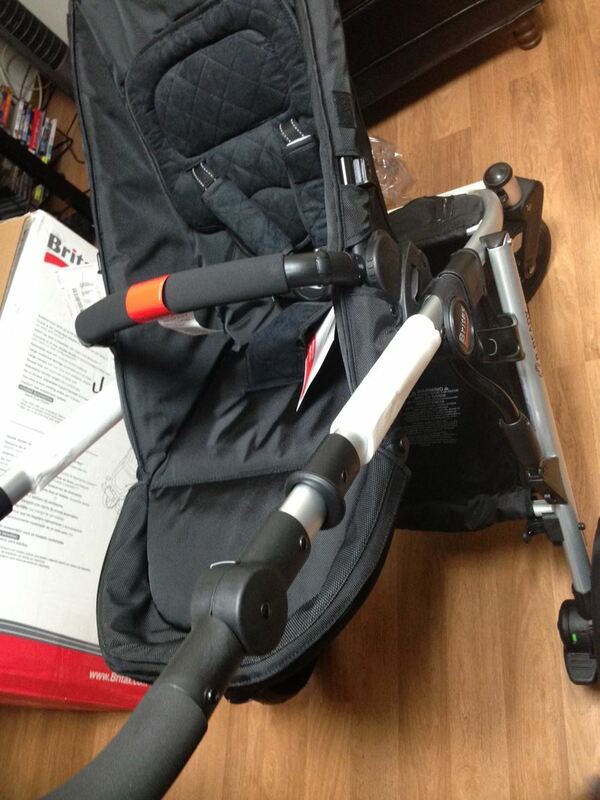 There was the dreamy Stokke stroller that cost my right arm and my right leg. And then the basic Graco travel systems that started at a $100. I knew what I wanted though. After a stroller fail the first time around, I had a good idea of the requirements for my next stroller. It had to be a modular stroller. I wanted it to face me as well as face out. I really wanted it to have a bassinet mode, either built in or to buy separately. Bassinet mode just spoke to me, like a really fancy old time style stroller. I wanted it to be safe, of course, big, but not too big and stylish. After countless hours of online research I finally decided on my 3 top stroller picks. And I slowly narrowed it down to my #1 pick, which I finally ordered after 4 months! Jayna recommended it to me and told me how much she loved hers. That sold me! The reason I waited so long to finally buy it?! The Britax Free Ride Event! Yup! I had been stalking their website to see when the event would take place and when it finally started on June 1st, I got on Amazon and ordered that bad boy! Now, remember the bassinet obsession I was telling you about?! 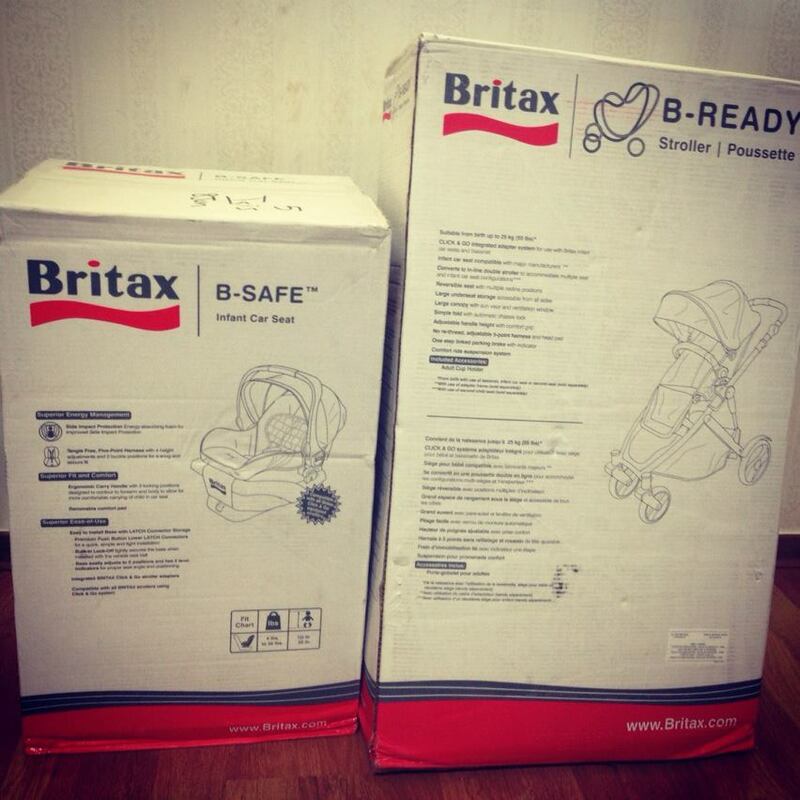 Well, I kind of got over it… I ordered their Britax B-Safe carseat as my free accessory option. I figured I’d get more use out of a car seat than a bassinet. 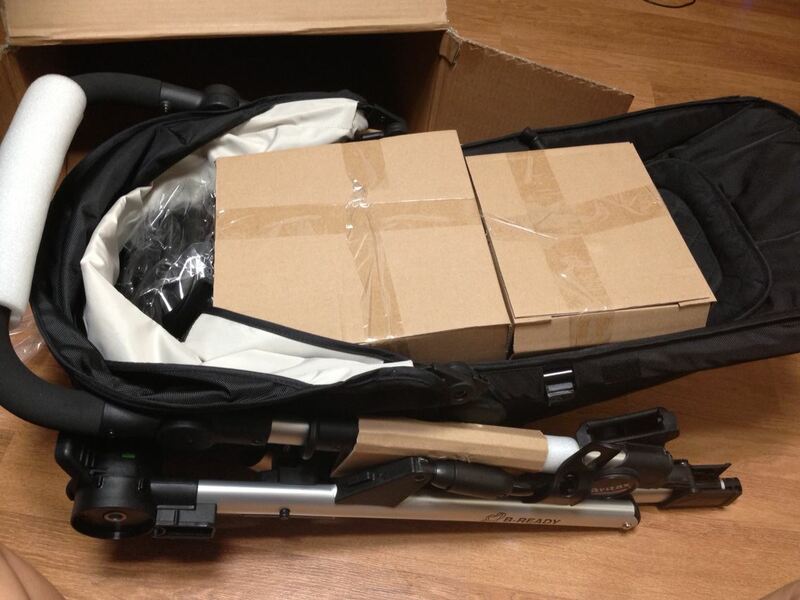 The stroller got here about a week later! I was beyond excited, but you know who was even more excited than I was?! 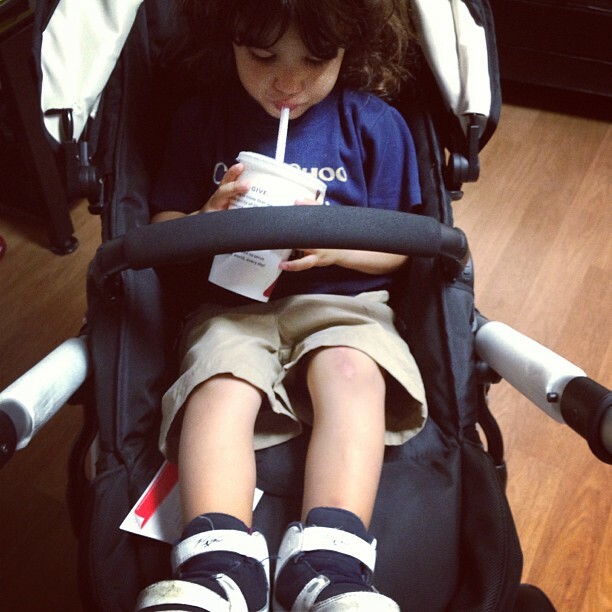 My 2 1/2 year old who had been stroller shopping with me online for the past 5 months! 🙂 He insisted we open it and built it right away! We started with the stroller. Even at 5 1/2 months pregnant I had no trouble moving the box around. The stroller came unassembled. I took the frame out of the box and snapped on the wheels. It took me about 10 minutes to built, with my toddler standing by me the whole time! Once it was assembled we had to test it out! It was Abe-approved! He loved the handlebar in front of him. I absolutely love the Mommy facing option in this stroller. I didn’t have it with my first stroller and I think that’s a big reason that we didn’t use it. I love being able to see him and interact with him in the stroller, something that’s not so easy when they’re facing the world. Stroller assembled, we moved on to the car seat. The car seat didn’t require any assembly. It came already snapped into the car base. I snapped it out and it was pretty light, but still felt really safe and solid. I was impressed with the sunshade on both the stroller and the car seat! They will definitely keep baby shaded on those hot sunny days! We were definitely pleased with our purchase! We went with the neutral black color for both the stroller and the car seat, but Britax offers their B-Ready in over 10 colors and their B-Safe car seat in three different colors. You really can’t go wrong with whatever you choose! The stroller is on the bigger side, but not too big that it’s hard to lift. I love how big the storage basket is underneath. This was a big selling point and something Jayna told me about! With a toddler and a new baby I know I’m going to need a lot of space for a diaper bag, toys, carrier, etc. The stroller came with one attachable cup holder. The good thing about this stroller is that it can also be used as a double stroller by using the second seat, sold separately. 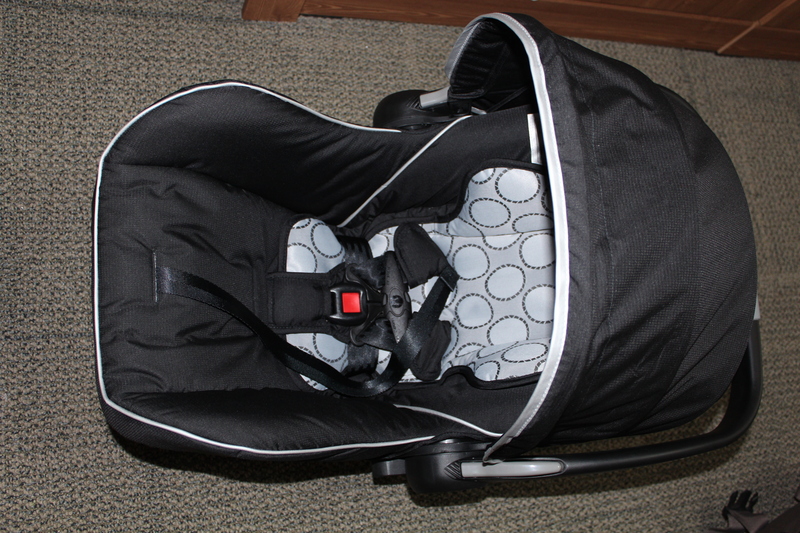 Britax also has a bassinet that you can purchase separately. 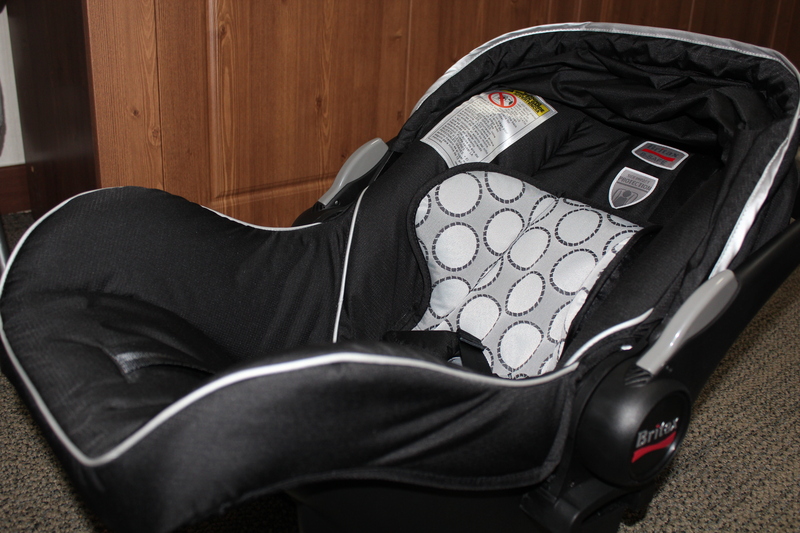 For $375 with free shipping on Amazon, I was able to get the B-Ready and the free B-Safe car seat. That’s definitely a good deal in my opinion and we couldn’t be happier with our purchase! Britax runs their Free Ride Event twice a year so even if you missed the one in June, look out for another in a few more months! We look forward to using it when baby #2 gets here this fall! Hello! 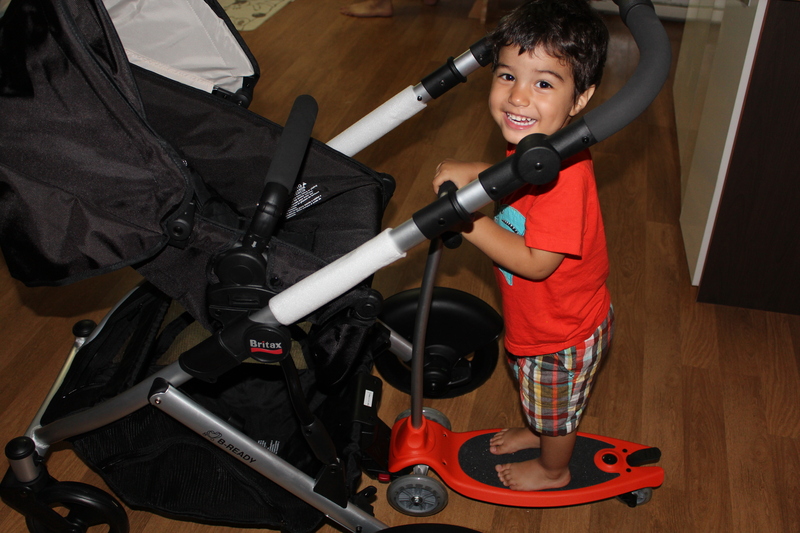 I was wondering how to use my b-ready with a FreeRider stroller board? Sorry for the late reply. 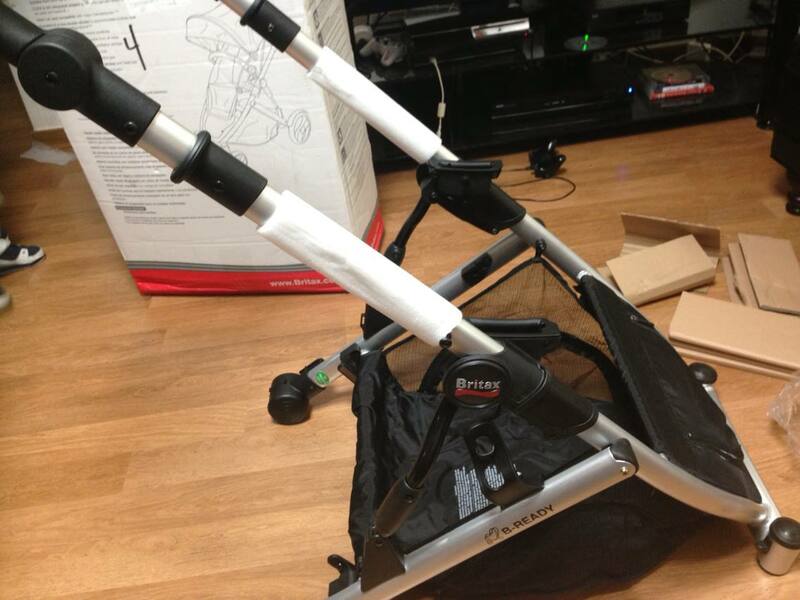 In order to use the FreeRider stroller board with the B-Ready you have to order a separate adapter piece. More info can be found on the FreeRider site. Thanks for visiting!